The impact of the HIV/AIDS epidemic has been catastrophic in all areas of South Africa, especially amongst poorer families. 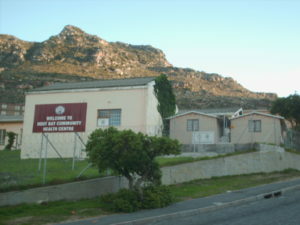 The small town of Hout Bay is no exception but after 12 years of Rotary support to the dedicated staff of the local clinic station led by Sr Liz Huckle and Sr Esther Carolus and whilst the incidence HIV+ still remains high, there has been no recorded deaths from AIDS in our valley for nearly two years, thanks to the distribution of of ARVs and home care support. But there also can be no relaxation in the fight against this terrible disease. The current programme incorporates supplying the correct nutritionally-rich food to counter the effects of poor health, hunger and deprivation. 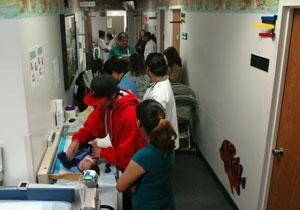 These are delivered by specifically planned feeding projects directed at the vulnerable, such programmes having first been vetted by doctors or senior nursing staff and nutritionists. 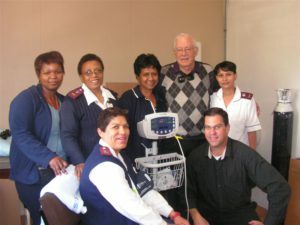 A programme of specially designed “comfort boxes” to be handed out on a prescriptive basis containing nutritional dry foods and various household and patent medical necessities, is now underway more especially designed to assist vulnerable families on ARV regimes, “dispensed” by nursing staff and clinic doctors on a family needs basis per a prescription authorising such. 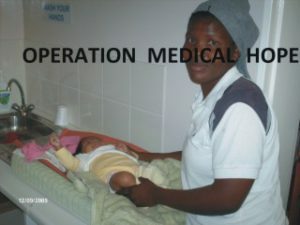 Operation Medical Hope (OMH) is a tried and trusted local name in the Hout Bay community as a support mechanism formed by Rotary to back-up to medical professionals engaged in the early detection and early isolation of HIV/AIDS and TB, particularly in cases where poverty neutralises, as a result of poor nutrition, any clinical medications supplied. 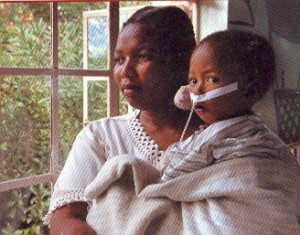 Mother to child transmission of HIV/AIDS results in many infants in poorer families being more susceptible to serious illnesses and subsequent poor academic performance. This stunting at youth is a major problem in South Africa, particularly in the shanty towns near to cities and towns, where poorer folk live in slum conditions. South Africa has only an estimated 120,000 hospital beds in the public sector, a fact which has led HIV/AIDS to be designated as a “home care disease” in medical terminology, thereby placing enormous strain and trauma upon poorer households to manage the disease at home. 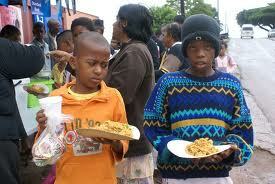 The situation is exacerbated by the inability to afford transport to get to a clinic or hospital for treatment. the health needs of poor since staff are called upon to diagnose, treat and dispense to a massively enlarged TB and HIV/AIDS infected communities with limited facilities, low trained staffing levels and with doctor’s visits being out of the question. Whilst there still remains no answer against the HIV+ virus and new killer strains of TB have now appeared in the worst poverty-affected areas, medicines can hold off the inevitable and extend life. But, such medicines will only work with healthy people. So whilst HIV+ is no longer a death sentence, the collapse of the immune system is. This is where your help is needed. Awareness and realization of the nutritional needs of those on ARV programs in a community too poor to afford even the basics of a proper diet for themselves, or sadly their children, has turned into a specific, tailored programme of supply to designated families. 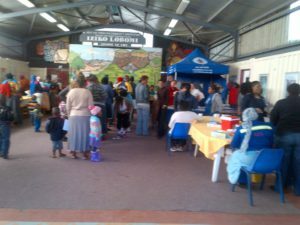 contact with communities, calling in families to a community hall for baby-care, mother-care, HIV+ testing, nutritional training, TB checks, checking blood pressure levels and eye tests followed by free reader spectacles where suitable. South Africa has the world’s highest HIV+ numbers and although deaths from AIDS have fallen, there is a growing and ever increasing number of undetected HIV+ cases as the disease spreads. Education programmes amongst youngsters and early adult married couples are highly complex and difficult matters to deal with, involving different cultural approaches to sexual contact. Included with the problems of early detection is the stigma felt by many in poorer communities that is associated with a positive HIV test result. Many don’t wish to venture into a world where the inevitable is thrust upon them. Whilst the main objective of the professionals is to ensure that the infected stay on their ARV programmes, failure to do so results in a far greater inability of the immune system to fight illness. 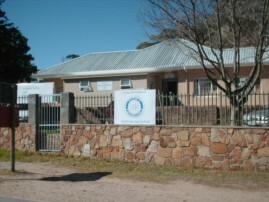 The objective of Operation Medical Hope, as administered by Rotary Club of Hout Bay, remains therefore to be an important back up to whole recovery process, since nothing works at all without good nutrition, a contributing factor that is mostly out of reach for those living below the breadline, especially a child. The ever-increasing implications of the disease upon the social fabric of human settlements poses a national threat to South Africa in the form of food security. 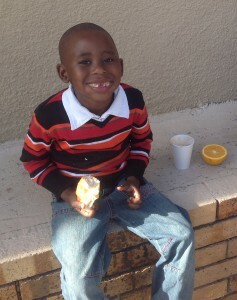 These nutritional problems have lead both to the high incidence of TB, now becoming a major problem in poor black townships, as well as the onset of AIDS at an earlier age. 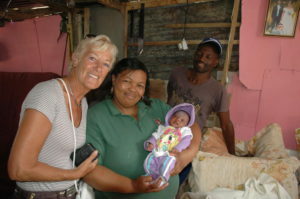 In Hout Bay, as in other towns in South Africa with townships with immigrants and refugees to their areas, there is the spectre of a growing number of orphans – some with the disease carried through from the mother at womb. 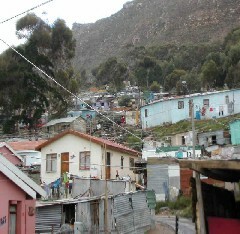 Hout Bay is sadly the home for two “hotspots” in the Cape Peninsula where HIV/AIDS and its shadow disease, tuberculosis, is particularly prevalent. 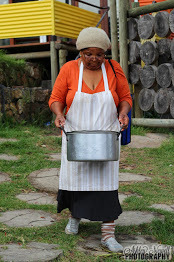 Firstly, there is the sprawling shanty township of Imizamo Yethu with an estimated population of 30,000 served by Hout Bay’s Main Road clinic staffed by only fourteen people under Sister Esther Carolus. This township comprises mainly black folk pouring in from the rural areas of South Africa, complemented by refugees from other parts of Africa such as the DRC, Angola, Zimbabwe and Mozambique. The second “hotspot” is the Hangberg area of Hout Bay where a smaller clinic service handles again the consequences of TB and HIV/AIDS but amongst the poorer traditional fishing community who survive from a very much reduced fishing industry. In total, and mainly in the Imizamo Yethu area, Hout Bay has an unknown number of untested HIV+ persons who are unwittingly perhaps further spreading the disease. 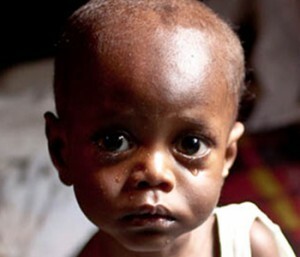 Rotary is supporting programmes to “reign” in these folk. On the positive side, some 6,500 are now on ARV therapy, but, unfortunately, the TB component in the poorer section of the community is growing. 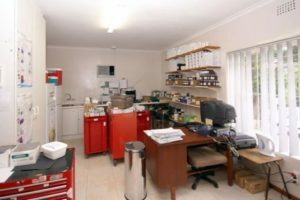 Funds can be directed to this rewarding and fully working scheme to Rotary Club of Hout Bay or through Rotary Club of Coolamon, through their websites.